REDMOND, Washington, April 17, 2018 /PRNewswire/ -- On Tuesday, 34 global technology and security companies signed a Cybersecurity Tech Accord, a watershed agreement among the largest-ever group of companies agreeing to defend all customers everywhere from malicious attacks by cybercriminal enterprises and nation states. The 34 companies include ABB, Arm, Cisco, Facebook, HP, HPE, Microsoft Corp., Nokia, Oracle, and Trend Micro, and together represent operators of technologies that power the world's internet communication and information infrastructure. More than 30 global technology and security companies signed a Cybersecurity Tech Accord, a watershed agreement agreeing to defend all customers everywhere from malicious attacks by cybercriminal enterprises and nation-states. April 17, 2018. "The devastating attacks from the past year demonstrate that cybersecurity is not just about what any single company can do but also about what we can all do together," said Microsoft president Brad Smith. "This tech sector accord will help us take a principled path toward more effective steps to work together and defend customers around the world." The companies may have adhered to some or all of these principles prior to the accord, or may have adhered without a public commitment, but this agreement represents a public shared commitment to collaborate on cybersecurity efforts. The Tech Accord remains open to consideration of new private-sector signatories, large or small and regardless of sector, that are trusted, have high cybersecurity standards and will adhere unreservedly to the accord's principles. "The real-world consequences of cyberthreats have been repeatedly proved. 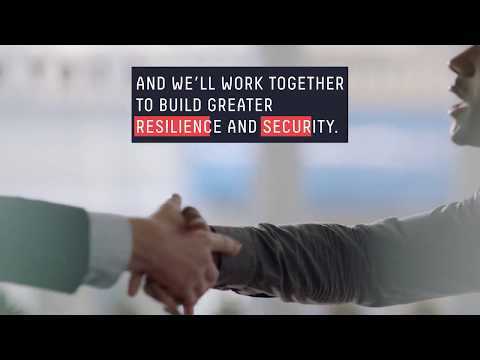 As an industry, we must band together to fight cybercriminals and stop future attacks from causing even more damage," said Kevin Simzer, chief operating officer, Trend Micro. "The Tech Accord will help to protect the integrity of the 1 trillion connected devices we expect to see deployed within the next 20 years," said Carolyn Herzog, general counsel, Arm. "It aligns the resources, expertise and thinking of some of the world's most important technology companies to help build a trusted foundation for technology users who will benefit immensely from a more security-connected world."